We know you are a busy professional as you tend to your patients' medical needs. You don't have alot of time to spend individually with parents who are unsure of how to respond to their special needs child's behavioral or emotional challenges. But parents need your professional guidance to help them cope with their child’s behavioral issues when it impacts their medical care. We can provide you with resources so you don't have to do it all. Our resources, many of them free, are easy-to-understand and practical. 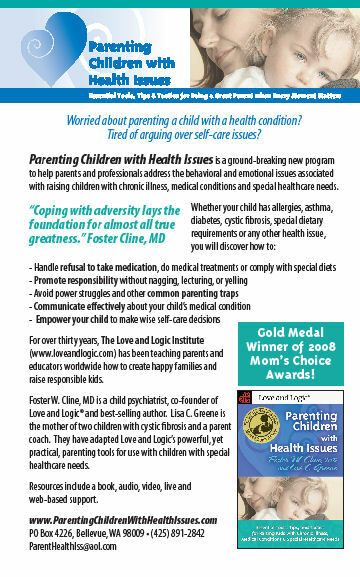 By providing your patients with this information card, you will head them in the right direction to get the help they need to effectively parent their child with special healthcare needs. 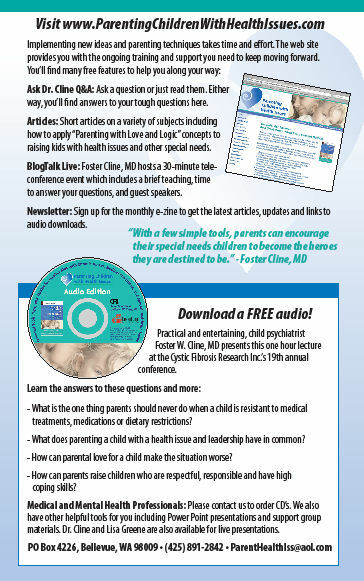 The card includes information about the free audio download available on this website. To request free copies of our 5"x8", high-quality information card for your patients, please contact us at (425) 891-2842 or send an email. Thank you.